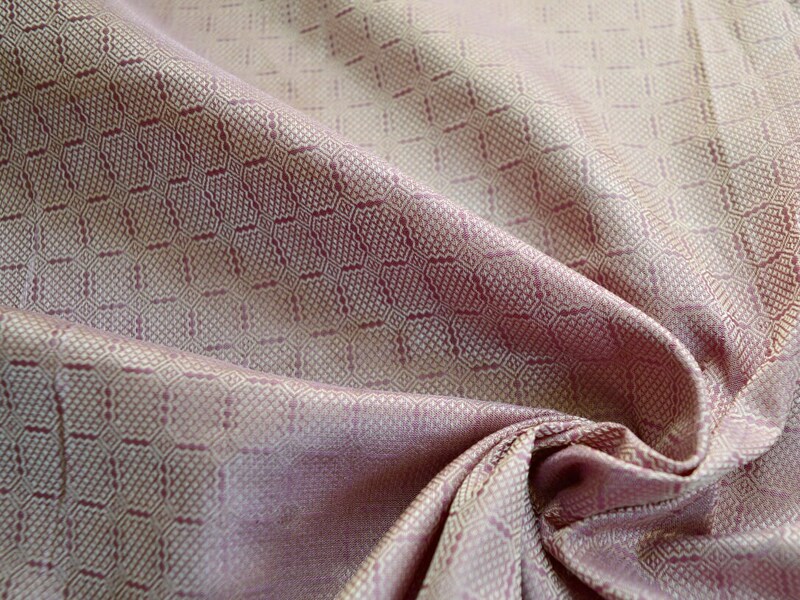 The famous silk from Birka! Add some silky shine to your Viking costume. With this 100% natural, handwoven and historically accurate silk fabric, your Viking clothes will look amazing, while still being historically correct. 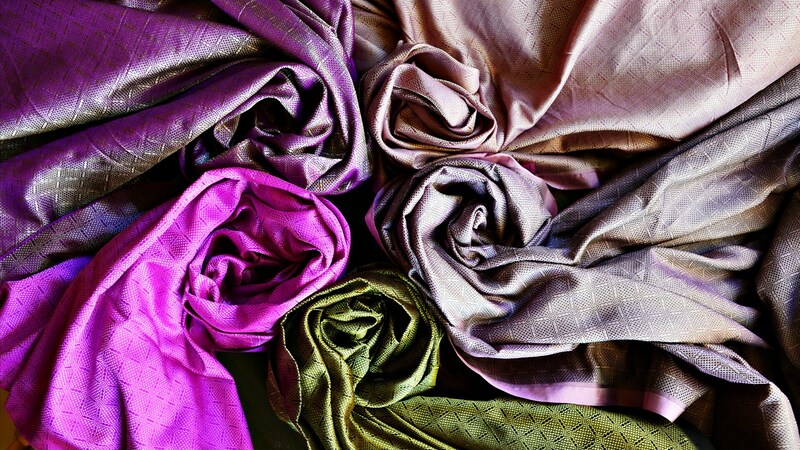 No more wondering, if your costume is proper for the best historical events: this beautiful natural silk fabric is a copy of an archeological find. The original piece of fabric was found in Birka, Sweden, was dated to Viking period and published in "Die Textilfunde aus Der Grabern, Birka III" by Agnes Geijer. The fabric shines beautifully, it changes the color depending on the light, so it is difficult to show its color on pictures. Now the price is 15% REDUCED! From 44 EUR to 37,5 EUR! Warning: this is a temporary, spontaneous offer, I don't know when it's going to end! 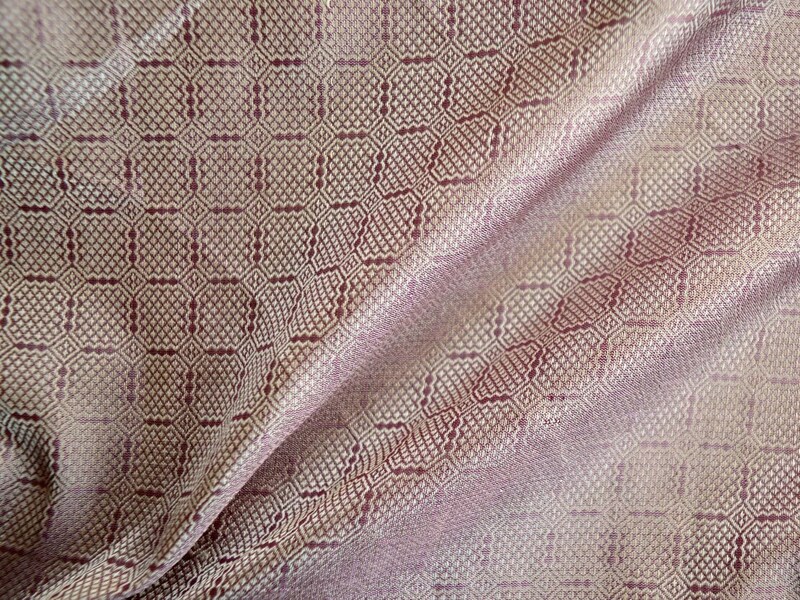 Color: light, warm pink for the background + purple color for the pattern (other colors in the shop). Price for 0.5 meter, you can buy more of course, if needed. Dry clean or wash in cold water with no detergent. The fabric is rather thin, not like taffeta silks. 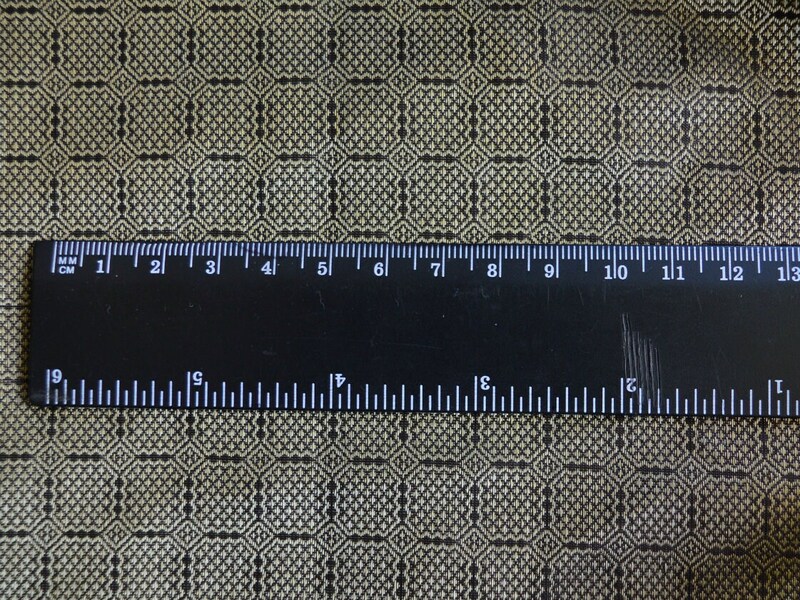 The 5th photo shows the size of the pattern. 1) The original fabric was found in grave no 944 in Birka. 2) According to Geijer's work, the pattern in original find was not printed but was made during the weaving process. 3) The size of the pattern on the original fabric was small and this reconstruction is woven in the same pattern size. 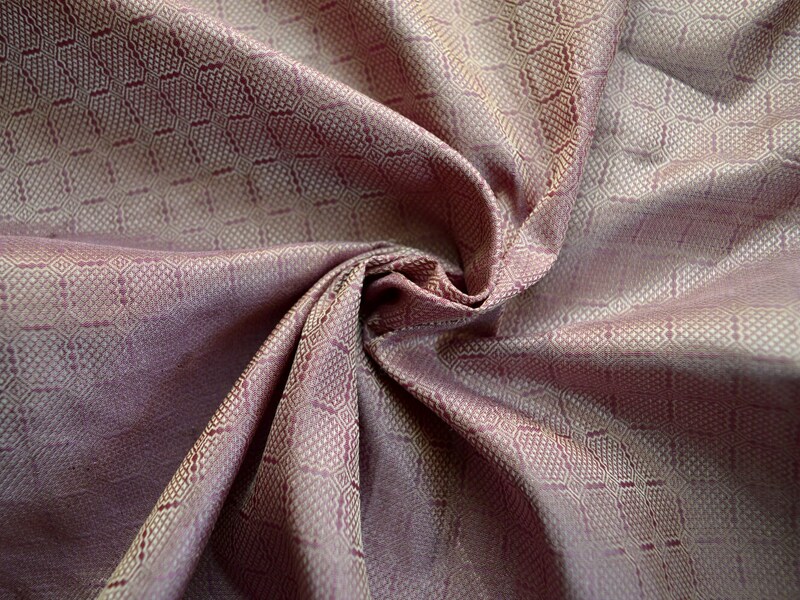 An important note: The Birka silk fabrics were made according to my very individual order. I was working hard on bringing this fabric to you, and finally, after 15 months of trials and stress, I did it! However, I have never been cooperating in the matter of this design with anyone so far, so all other shops selling my fabric right now have never been authorized by me. The hurricane in my private life made it possible for some to get their hands on those samples of the fabric, which didn't meet my quality standards, so I can't guarantee the quality of any silk and other materials that are offered by any other shop except nornilla.com Thank you for your understand and all your support!